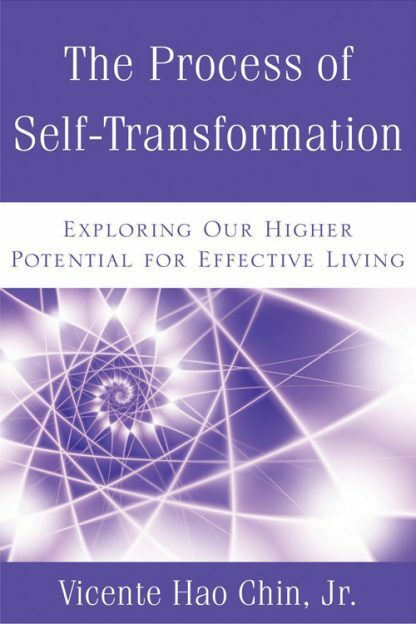 Red Wheel ∕ Weiser Online Bookstore | The Process of Self-Transformation: Exploring Our Higher Potential for Effective Living by Vicente Hao Chin, Jr.
�From time immemorial,� says the author, �sages from diverse cultures have passed on enduring solutions to the dilemmas of living. Yet their insights are not as known to the world as they ought to be.� This deep, wise, and practical guide intends to make them more so. It is the harvest of the popular seminars developed and led by Vic Hao Chin, president of the Theosophical Society in the Philippines and a worldwide teacher and presenter. He gives time-proven approaches for eliminating fear, resentment, worry, depression, and the stress of daily living in order to deepen spiritual practice. And he includes sections on overcoming negative conditioning, developing relationships, and optimizing physical health. To help readers in the process of self-actualization, he also provides helpful illustrations, case studies, and step-by-step instructions for meditation and breathing exercises. Vicente Hao Chin, Jr. has conducted the Self-Transformation Seminars in almost twenty countries in addition to his native Philippines, including the United States, United Kingdom, Australia, India, Singapore, Brazil, Spain, and Israel. He has published several books on meditation and spirituality, and is a former president of the Theosophical Society in the Philippines. He has also initiated the establishment of schools that envision the integration of self-transformation and academic learning.